Time to get up and work out your mind with your daily dose of Mental Fitness on 107.7 The Bronc. 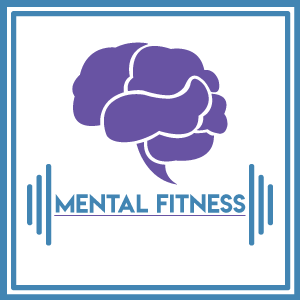 Every Monday through Friday on 107.7 The Bronc, Mental Fitness will educate you on a number of topics relating to your mental health and well-being, such as substance abuse and addiction, anxiety and panic disorders, depression bi-polar and eating disorders and more. 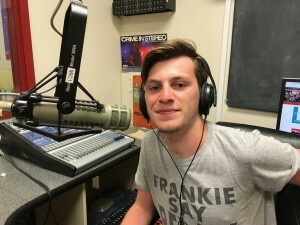 If you or anyone you know struggles with mental illness or addiction, or you just want to educate yourself about the these important health-related topics, listening to Mental Fitness on 107.7 The Bronc is a great first step when it comes to understanding the symptoms and treatments. Consider Mental Fitness your five-minute mental health workout. 107.7 The Bronc’s Mental Fitness is underwritten by the Lawrence Drug and Alcohol Alliance (LADA). LADA is the official coordinating body for planning, awareness and prevention education efforts on alcohol, tobacco and drug abuse in Lawrence Township, NJ with funding provided by the Governor’s Council on Alcoholism and Drug Abuse. Monday – 9 a.m., Noon, and 3 p.m.
Tuesday – 10 a.m., 1 p.m. and 4 p.m.
Wednesday – 8 a.m., 11 a.m. and 2 p.m.
Thursday – 11 a.m., 2 p.m. and 5 p.m.
Friday – Noon, 3 p.m. and 6 p.m.
Chris Stavalone is a Secondary Ed and Math major at Rider University. When he is not working at 107.7 The Bronc, Chris is a musician with his band Dead Projects. Chris has been performing for 7 years and is well versed in Guitar, Drums, Bass, and Piano. When he is not performing, Chris enjoys reading comic books, writing, and producing. Neva Pryor II- Neva Pryor gives us her opinion on how gambling and gambling addiction should be handled at the legal level! Neva Pryor- Neva, from 1-800-GAMBLER goes on air to discuss her line of work on the struggling addiction that is compulsive gambling! Jill Berg II- Dr. Berg continues our prior conversation. Jill Berg- Dr. Jill Berg is here with us to discuss how to assists the mothers with some of the stress that comes from being a new mother. Carol Rickard- Carol Rickard is back to discuss some back to school tips for dealing with stress. Susan Stahley II- Susan continues to discuss some facts about smoking and tobacco and the toll it takes on your body. Susan Stahley- Susan Stahley is with us to talk about he initiative to make Rider University Tobacco and Smoke free! Scott Kivet II- Scott Kivet from the Robinsville police department discusses the legal end of drug addiction and some of his approaches to it. Scott Kivet- Scott Kivet from the Robinsville police department discusses the legal end of drug addiction and some of his approaches to it. Recovery Advocates of America III- In part three, John and Mike will describe some signs to look out for when encountering a family member or a loved one battling addiction, and who to call! Recovery Advocates of America- Tune in to hear from John Mincarelli and Mike Ziccardi from Recovery Advocates of America, as they talk about the program, RAA, and all the success that has come from it!